Kirsten Nash has often been called a “Renaissance Woman”. 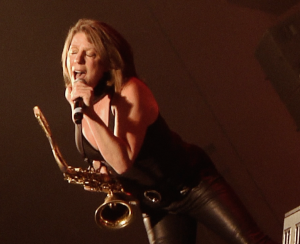 This Canadian multi-instrumentalist and vocalist has played saxophone and sung with touring acts such as Long John Baldry, Alfie Zappacosta, as well as playing in countless bands, jamming with performers such as Stephen Stills, Boz Scaggs, Jeff Healey and Tom Jones over the years in Vancouver. She has been a member of the iconic West Coast favourites, the R&B Allstars for over 25 years and won the CARAS West Coast Music Award for Reed Player of the year in 1988. 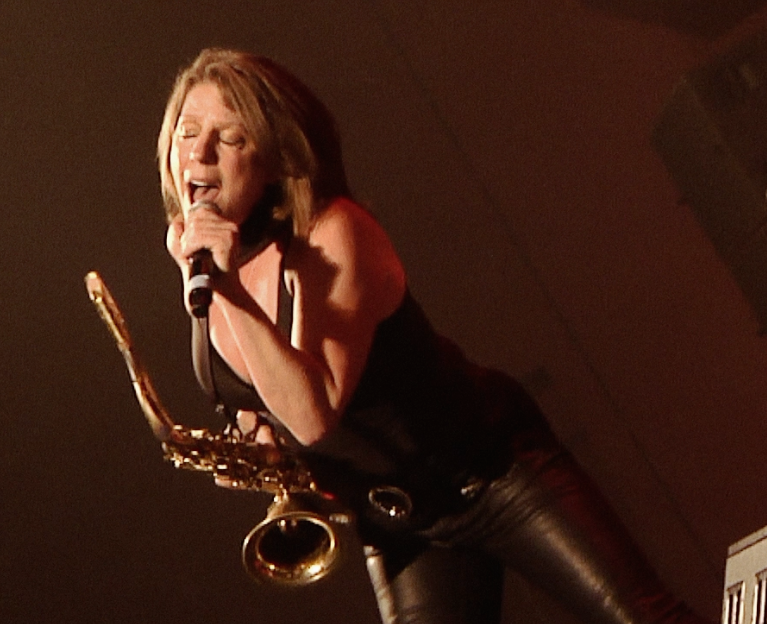 As a composer Kirsten has written two rock operas; “Alice in Modernland”, which was work-shopped off –Broadway by Maxwell Productions and had it’s world premier at “Sledgehammer Theatre” in San Diego, then “the Bird and the Waterfall”, which was work-shopped and filmed in West Vancouver at the Kay Meek theatre. Throughout the span of her colourful musical career Kirsten has always created visual art; from ceramic sculptures to oil and acrylic paintings, she has explored her own soul as well as that of the world around her, often embracing her love of music with her subjects. The first half of 2016 will see Kirsten’s paintings in two exhibits in Vancouver. She has also had poetry published in the Red Berry Literary Review, and is currently working on a book set in a fictional Vancouver Island small town, called “River’s End”. Kirsten’s first CD was the critically acclaimed “Bridging the Gap”, released in 1994. Upon returning to live performance and the studio after a hiatus to raise her children, she recorded her second CD, “The View From Here”, released in 2012, followed in 2014 by an EP called “Salvador Dolly”.